Why real wedding photography matters. Hi Carl. I’m sure you don’t remember me but you photographed my wedding in 2005. I wanted you to know how much I continue to cherish the photos you captured that day. In particular, I have been spending a lot of time over the past 24 hours looking at this photograph of my grandmother hugging me. She passed away on April 28th, seven years ago. It’s difficult to describe the emotions I feel when I look at this photo, but I can tell you that it is without a doubt my favorite image of her at any age. So thank you for this gift you have given me and my family that truly continues to bear fruit regularly to this day. I hope you are well and I wish you all good things! Why I’m often the last to leave. 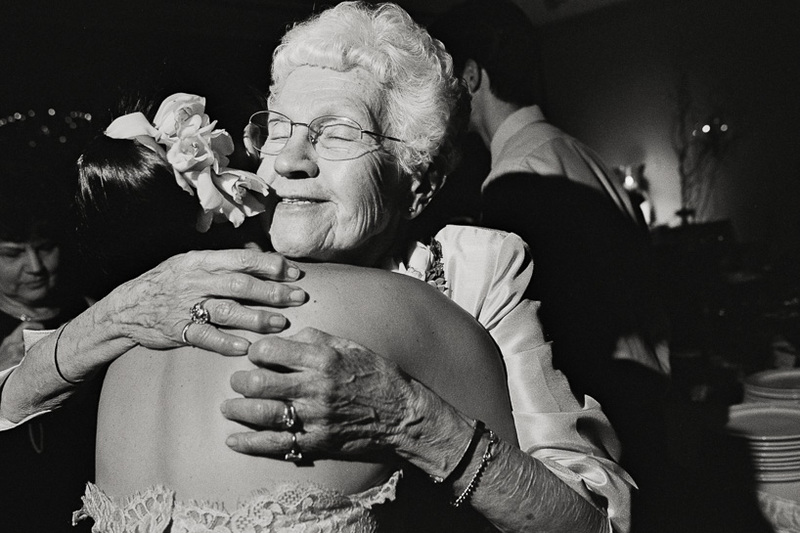 Photojournalist and Pulitzer finalist specializing in authentic wedding photography. Based in Denver, Colorado and serving clients nationwide. In addition to weddings, I continue to focus on long-term documentary projects and commissioned portraits for magazines and individuals. You can see my other work at carlbower.com. Copyright © Carl Bower. All Rights Reserved.